10denza, the Central West End's hot new "retail lounge" is proud to present a special exhibit: Empty City, Posters by Potter, featuring the work of local rock poster artist and musician Jason Potter, known for his hand-screen printed rock show posters for various national and local bands and as the drummer in St. Louis bands Left Arm and Bruiser Queen. 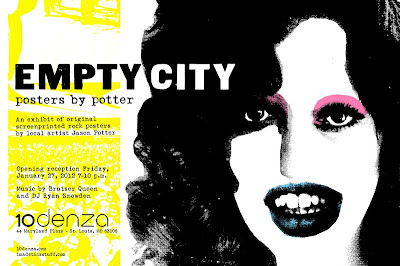 The exhibit kicks off with an opening reception on Friday, January 27 from 7-10 p.m. at 10denza, located at 44 Maryland Plaza. Guests will enjoy hors d'oeuvres, beer and wine, music by DJ Ryan Snowden and Bruiser Queen and poster signings by the artist. This event is free and open to the public. Everyone is invited! 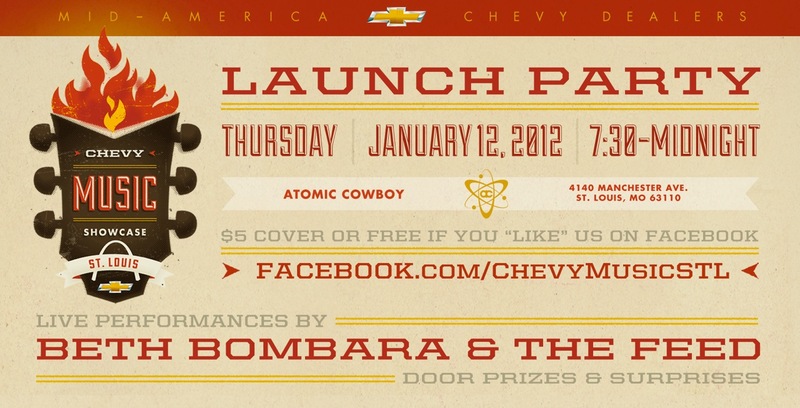 This Thursday night at Atomic Cowboy is the launch party for the Chevy Music Showcase St. Louis. We're very excited to be a part of this project. 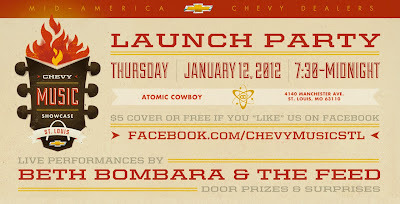 Fun starts at 7:30.